Providing you the best range of febuxostat tablets, pacimol active tablets and rifagut tablets with effective & timely delivery. 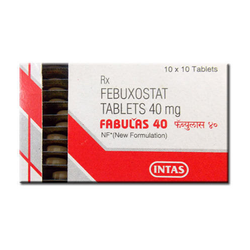 With our technology friendly approaches, we have emerged as one of the leading name providing Febuxostat Tablets. The tablets are prescribed for the treatment of hyperuricemia in individuals with gout. These tablets are formulated by utilizing the sophisticated techniques and high grade ingredients, under the guidance of our skilled professionals. 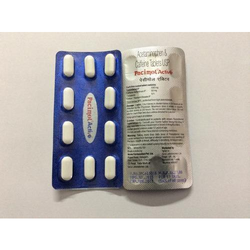 We are trustworthy organizations involved in providing an exclusive range of Pacimol Active Tablets. The medicine is used for the treatment of joint swelling and stiffness, toothache, ear pain, headache, joint pain and other conditions. These medicines are tested under the knowledgeable medical experts on different parameters of the industry. 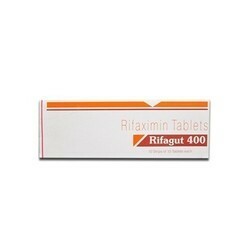 We are persistently striving to sustain our high credibility in the market by offering Rifagut Tablets to our clients. The tablets are used for the treatment of bacterial infections of intestine, liver failure and other conditions. Keeping in mind the medical quality norms, these tablets are processed by our team of skilled professional using the best quality chemical compound at our well-equipped laboratory.